Discussion in 'Building the Classics' started by JKrauland, May 3, 2018. So I've been checking these nutubes out and I had the idea to use them to make a really compact mini major. I've always wanted a major but couldnt afford a legit one, not to mention it's way too powerful. Do you think this is possible? Also if anyone knows where to find a schematic for a mini major i'd be eternally grateful. I'm not too hip to amp building, I mostly do luthiery stuff so I'm not quite savvy enough to convert the original marshall schematic to what I'm talking about. From what I understand, Nutubes are extremely microphonic. The Nutube requires a switching power supply (DC to DC converter) to run the florescent "filament?" For a person who does not build amplifiers, it could be a formidable challenge. But don't forget, Philo T. Farnsworth. He knew nothing whatsoever about electronics, and 20 years later he invented television. He simply "did it," despite that such a thing was widely regarded as impossible - he never gave up. Drawing inspiration from Philo, (and I hope you will) be sure that determination and perseverance make the impossible possible. solarburnDSL50 and Springfield Scooter like this. Microphonic ? as a pickup winder Send the Nutubes to me & I will wax pot them for you . You will need more than wax to fix that issue. Check out the microphonics test at 14:14. Remember that the nutube has a maximum gain of: 5. I've have fixed dozens of microphonic Gibson pickups without potting them .you Just need to know how to do it . Fenders on the other hand should be potted . It would take 3X nu tube sections to equal the gain of 1X 12AX7. 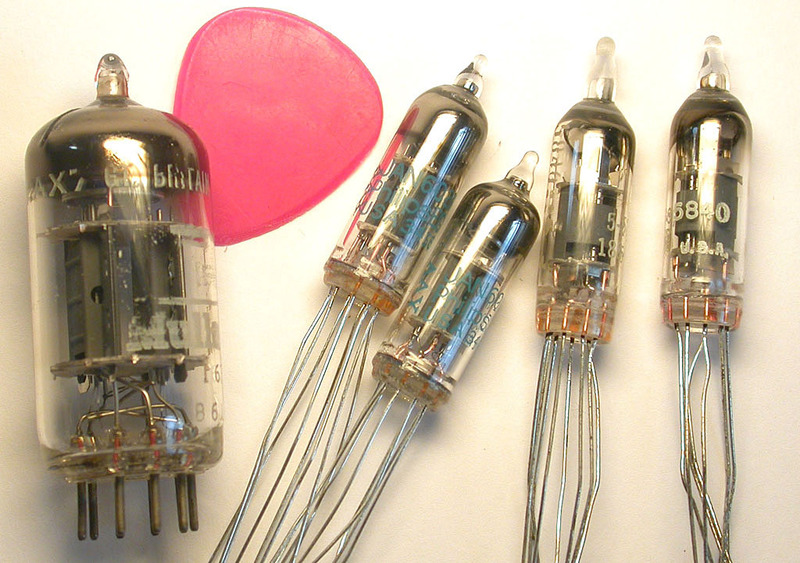 But nu tube has voltage limit which is less than 1/3 of vacuum tube. In other words: replacing preamp tube with nu tubes would be pretty challenging. I'm not saying impossible. Pencil tubes have been around for a while. I looked at a schematic of the Major and the preamp section is easy enough to do, no need to use different tubes than the original. The power tubes and the output transformer will be where you have to decide what you want. You don't want the power so I am guessing a lower wattage tube than the KT88's would be fine. How much power do you want. Also the big question, how much do you want to spend on it? Also what is it you desire in the amp, what makes you want it. Making a mini version will have trade offs. Good to know what makes it special to you. I used to have a little pocket radio which used those. It ran off a 90 volt battery. Peanut tubes, pencil tubes, potato tomato. Thought about building a smaller version of the amp. There was a 100W done here before, less than that is possible but the main attribute of the amp was that it was a clean machine. For someone not versed in electronics it might take someone else to do all the dirty work of coming up with a layout and bill of materials.